Bulk Road Salt Supplier: Get Your Road Salt from Us! We are a Bulk Rock Salt/Bulk Road Salt Supplier for your most cost effective way to melt snow and ice on roadways, highways, parking lots, and bridges. Rock salt is reliable and effective for most applications. If the temperatures gets too cold for straight road salt, you can mix the salt with other products to give winter a 1-2 punch and keep roadways and walkways safe while keeping costs in line. Our rock salt is treated with YPS (yellow prussiate of soda) anti-caking agent to help resist caking and prevent clumping so you won’t get air pockets forming while spreading material. You already know bulk road salt is a standard for winter snow and ice removal strategies because nothing else works as hard at such an inexpensive price. You also have the benefit that rock salt requires less spring cleanup than sand or other non-water-soluble treatments. 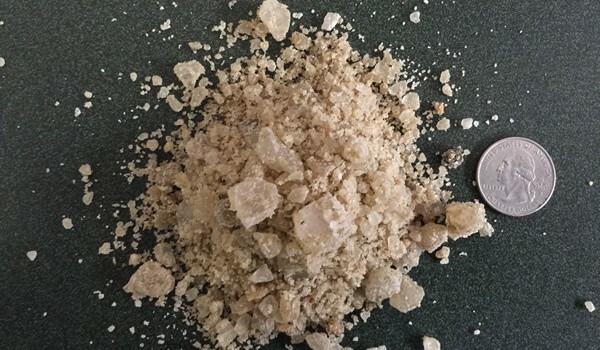 At Snow & Ice Salt & Chemicals Unlimited, we stock both solar and mined bulk salt and it is available for winter pick up 24/7 at three locations in Maryland. We have snow removal companies and some municipalities pick up rock salt from Washington DC, Maryland, Virginia, Delaware, Pennsylvania and West Virginia allowing us to pass on great pricing, but it also helps us be sure we always have plenty of inventory for you. Are you further away? Call us about pricing for shipments anywhere in the United States when you order convenient 50 lb. bags pallet quantities. Our Road Salt is nearly 100% Sodium Chloride and is a low cost treatment used to melt large areas of snow and ice effectively. 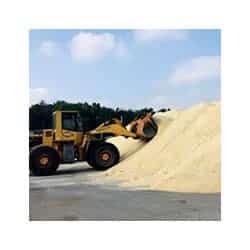 We stock Cargill Bulk Rock Salt, a coarse screened, translucent crystalline material obtained through mining from domal salt deposits in Louisiana. The salt is mined by drilling and blasting with explosives (check out this video) in a manner similar to other types of underground mineral mining. The mined salt is hauled to the surface, crushed, screened and hoisted to the surface where it is loaded directly onto barges. Rock Salt begins to lose its effectiveness when temperatures fall below 15°F. We recommend the addition of an additive such as liquid magnesium chloride or an ice melt blend which can help make road salt effective at lower temperatures while keeping costs in control.